Arina Shulga is a corporate and securities attorney with experience representing startups in corporate formation and capital raising transactions; issuers in private and public securities offerings, software licensing and a variety of contracts; angel investors and VC funds in making investments; crowdfunding portals; investment managers in their setup and investment fund formation; and participants in the digital asset economy. Before co-founding Ross & Shulga PLLC and a predecessor firm Shulga Law Firm PC, Ms. Shulga was an associate at Cleary Gottlieb Steen & Hamilton LLP. At Cleary, Ms. Shulga represented a wide range of clients, from individuals and startups to the Fortune 500 companies across a spectrum of industries, including financial services, banking, technology, fashion, entertainment, and health care. 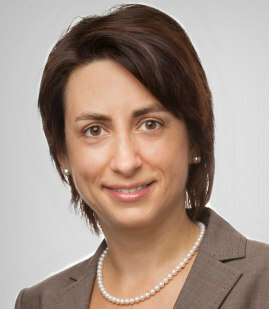 Ms. Shulga advised public companies on preparation and filing of periodic reports with the Securities and Exchange Commission; represented investors, issuers, underwriters and selling stockholders in private and registered securities offerings, including IPOs, convertible debt offerings, high yield debt offerings, and A/B exchange offers; advised limited partners in private equity fund investments; advised companies on compliance with contractual obligations, internal restructurings and joint ventures; and represented companies and their advisors in tender offers, consent solicitations and leveraged buy-out transactions. Ms. Shulga is active in the New York City startup community and is a member of the Wall Street Blockchain Alliance. She also teaches Entrepreneurial Law at Fordham Law School.